Like my prior post, I’m pulling out all these hybrid crossover 45’s of the cumbia genre. However, I don’t have much to say about this track. In fact, I’m not even sure if there existed a band called “Mariachi Mexico” – seems like kind of a generic name. 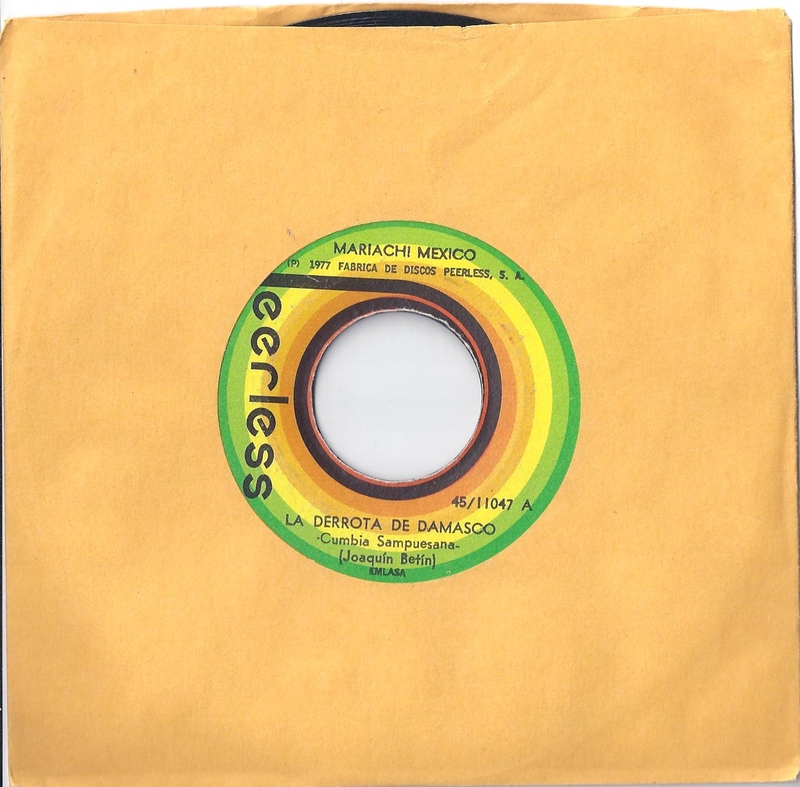 Also the song title is a bit odd, La Derrota De Damasco (The Road to Damascus? ), possibly a mariachi standard? The music still sounds good and they do a great cover version of the Cumbia Sampuesana. Anyhow, cumbia and mariachi – I can’t really same more than that. Enjoy!